Last week, Minister for Illawarra The Hon John Ajaka and University of Wollongong (UOW) Vice-Chancellor Professor Paul Wellings broke ground on the new $20 million, three-storey, 4,000 square metre iAccelerate Centre, which will be the new home for Illawarra’s burgeoning startup community. 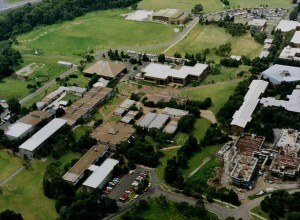 According to the media release by the University of Wollongong, the region’s first high-tech business incubator at the UOW’s Innovation Campus will provide a permanent home for the Illawarra’s rapidly growing number of startup companies and will feature ‘plug and go’ expandable space for more than 280 entrepreneurs. Since its launch in 2012, iAccelerate has helped 25 startup companies representing 52 entrepreneurs and new jobs. At the time, iAccelerate had just 20 spaces for entrepreneurs. The new premises will house 10 times as many places. “This is an exciting milestone and we will be eagerly watching progress on construction. The NSW Government’s support will significantly expand the growth potential of iAccelerate Centre and this will flow on to a growth in jobs and a well-diversified economy,” Director of Innovation and Commercial Research at UOW and iAccelerate CEO, Ms Elizabeth Eastland, said. “The iAccelerate Centre is emblematic of how the NSW Government is getting on with the job of rebuilding the Illawarra economy and delivering business growth for the region, in partnership with organisations like the University of Wollongong,” Minister for the Illawarra The Hon John Ajaka said. Vice-Chancellor Professor Paul Wellings said the Illawarra was a region undergoing radical economic transition, with the traditional manufacturing and heavy industrial base facing sharp employment declines. According to him, iAccelerate will be in a prime position to take new and innovative ideas and turn them into high-tech jobs for the region. James Moore, founder of current iAccelerate startup ZestDesk said the biggest objective for an entrepreneur was to learn faster than their competitors. The funding for the new iAccelerate building was part of the Restart Illawarra Infrastructure Fund, which provided $100 million in State Government funding for 12 projects in the region. Applications for entry to iAccelerate Start, an early-stage tech startup incubator and community coworking space, are open until April 15th.